Sooner or later, if one stays in beekeeping, it becomes apparent that success is directly related to being proactive in one’s management of the bees rather than reactive. After all, this is exactly what the bees are doing. The bees never wait until the last minute to put up stores for winter. Nor do the bees wait until the day before the spring nectar flow to gather a full house of foraging bees to harvest nature’s bounty. Rather, the bees work months ahead to make sure they have everything needed to succeed. 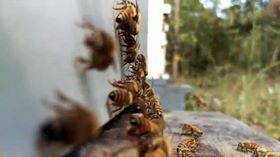 You too should follow their lead in preparing now for spring beekeeping if you want to have the best chance of success. For short term goals I would direct you to the beekeeper’s calendar for your area which will guide you as to the tasks at hand for the immediate future. This article will discuss longer term goals. – Assess your needs (equipment mostly but may include outyards,personnel,etc. – What knowledge will you need to be successful? – Lay out your time management plan. What can you do now to ensure your spring will be the best spring ever? Let’s start with considering your goals. Often, I have heard questions asked at monthly meetings that get the response, “Well, it depends.” Answering the question usually goes into what the beekeeper’s goals are. Are they making bees or honey? Do they want to grow their apiary or just manage a few hives for pollination? Are they hoping to produce enough honey to sell or do they want to make queens or nucleus hives for sale? What our management practices are depends directly on our goals. If you are planning a trip to California for almond pollination, you’ll start feeding pollen substitute in early January, but if you do that with colonies you are leaving here in the Midlands you may end up with your bees in trees before it’s warm enough to manage splits. So, before we begin, take some time to decide now what your beekeeping goals will be for 2019 – everything else hinges on this decision. This time of year, with the reduction in time spent managing your colonies, is ideal to inventory your assets. Get out and inspect your supers, scrape frames, and make sure you have enough equipment to handle your spring goals. Write down your current inventory on paper or start a planning notebook. Later, as you begin to see the plan come into place, you be able to compare your list of current assets against your list of needed assets to accomplish your goal. After you inventory your assets, write down your shopping list of equipment for ordering later. In addition to woodenware you may need lumber for hive stands, or other less obvious equipment like a new tire for your trailer. Making a list now will help you stay within budget. What’s important now is to develop the plan and determine what is needed. Wait until the plan firms up before ordering equipment as plans may change based on current assets, or other unexpected events which can come up during this planning stage. Also included in the planning stage is thoroughly thinking through your plan. If it involves establishing out yards, have you located and secured permission for land use? If not then you may want to use any of several methods including the ‘stop and knock’ method, Google maps, or an ad in the local or state Market Bulletin. Education may also be needed in the planning stage. If your goal is making increase you may want to order books or attend a local course on making splits and nucleus hives. Queen rearing may become something that you’ll have to consider. And if you are not ready for queen rearing, then making plans for purchasing queens to place in those splits if you hope to have them ready in time for spring sales. Purchasing queens would then become an item on your budget which may cause some changes to the original plans. Be flexible. The idea here is considering all the implications of your plan. Hammer out the timeline now so that you can adjust early in the process. Once spring comes, you’ll be busy managing your bees, so time spent during these cold days planning is time well spent. Once you’ve completed the assessment and planning portion of your spring preparations it’s time for implementation. Time to finally start the project. By now you have purchased the needed equipment, read up on aspects of your goals, and laid out a timeline for your tasks which includes consideration of the bees’ and nature’s timeline. Let’s get started! Over winter, it’s time for equipment maintenance and to build boxes, frames, and other woodenware if needed. Also, you may need to visit potential out yards to determine suitability. If you are planning on renting colonies for pollination a pollination contract with dates and other particulars needs to be written and established with the farmer. Will you need more bees or queens? If so, make sure you get your orders in on time to reserve your bees. Also, make it a point to attend as many educational bee meetings as possible. You never known when someone will offer up that nugget of knowledge you’ve needed to hear that will save you a mistake in the future. The final part of implementation will be the actual harvest of the product, the sales of the honey or bees, or the pollination of the crops. Or perhaps the establishment of an out yard which will serve you in the future. As you work through implementation enjoy the process. It’s great fun to see a project come together step by step. In closing, now is the time to make those plans for success next spring. Start daydreaming now, develop a viable plan, and implement your plan to ensure success next year no matter what your goals may be. We often see pictures of bees collecting nectar from flowers and blossoms, but they also need to collect water. The bees use water to cool their hives, help feed their young and also to keep honey at the right hydration level. The beekeeping year can be divided into two halves. One half is characterized by expansion, and the other by contraction. Tomorrow we begin the next phase. Whether you live in the northern hemisphere or the southern, the solstices mark the boundaries, the points at which things begin to change. If I were to write a book on beekeeping, this is where it would begin. Relatively unimportant issues like how to feed, where to put a hive, or how to inspect would be relegated to the appendix. The how-to part of beekeeping is unimportant compared to the why of it. Once you understand how bee colonies respond to their environment—what they do and why—the how-to stuff becomes easy. You can figure it out without instructions because you understand the purpose. The honey bee lifestyle is much easier to understand when you look at bees as a part of the natural world, not the man-made one. Honey bees respond to cues provided by nature, and once you understand their place in the ecosystem, their life cycle begins to make sense. For beekeepers and the bees, the summer solstice marks the end of the period of increase and the beginning of the journey to the winter equinox. The next six months will be a period of reduction and preparation for winter. What to do through the spring season in beekeeping – check out our list of simple, spring beekeeper activities. It’s spring colony splitting time and one thing we should keep in mind as we delve into the congested and complex hive is having the correct balance of bees of various ages within the hive or split. An upset in the balance of bees’ ages upsets the proper functioning of the colony. Ex. : who’s going to clean the cells and feed the young larva if the colony goes queenless for an extended period and all of the bees have passed that stage in their adult development? Reversible? I wonder to what degree, and about the quality of work that can be expected from a bee that has passed it’s normal period for the work expected. I’ve read below and elsewhere that there is some flexibility in the bees’ ability to move forward or backward in their age defined activities. However, the quality of the work suffers based on the bees’ physiologically ability to perform a particular task. When making splits during the spring buildup there isn’t any difficulty finding brood of various ages so as to provide a split with a diverse population. Done well, a split hardly misses a beat and continues to grow and build effortlessly, while poorly configured splits struggle to get going and sometimes fail. A simple diagram showing the life history of the honey bee worker. Early on in my addiction to all things beekeeping I listened to podcasts. Essentially a podcast is similar to a radio interview recorded for listening anytime via the internet. Podcasts are great to listen to at times when reading a book or watching a video aren’t possible. So, while building frames, mowing the lawn, or driving the car you can still be immersed in learning more about beekeeping. The Kiwimana Buzz Beekeeping Podcast is one of several podcasts available to listeners (links below). Some time ago I listened to a local beekeeper give a lecture about flexibility in beekeeping. One of the points of his lecture was going with the natural rhythm of the bees and nature. Experienced beekeepers, having kept bees over many seasons, know these things. Spring is the time of increase, a time of plenty, growth, and expansion. Summer follows here in the South Carolina Midlands with dearth and a time for the bees to tighten the belt on resources. Fall and Winter are times when the bees depend on stored resources. This is also when the stress on the hive is greatest due to the climate, pest pressures, viri, and lack of food stores all of which sometimes leads to colony failure. Going with the flux described above means making increase when the bees want to make increase. The beekeeper goes with the flow and capitalizes on the ease with which nature and the bees expand during times of plenty. The idea being to capitalize during times of plenty so you too, the beekeeper, have resources during the harder times of seasons ahead. 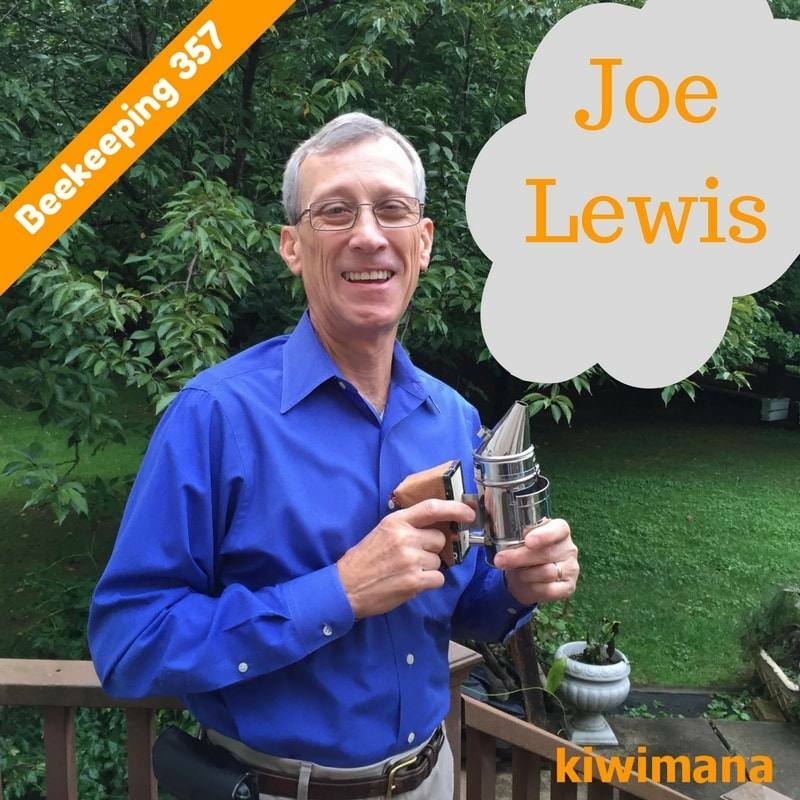 Joe Lewis describes such a method in the podcast below titled Beekeeping 357. This week we are talking to Joe Lewis from Maryland in the big Ol’ US of A. This is Episode Ninety Nine of our beekeeping podcast. You can download the podcast directly HERE, or click here to play. Feel free to share the show with your friends. Red maple has been bloom here in the Midlands of South Carolina for about a week or more. Not sure though, it didn’t look exactly right. A little research lead me to the answer. There are male and female flowers. That explains it! Some northern beekeepers have success overwintering nuclei-sized colonies. This may be based on a particular stock or genetic trait, and should be tested carefully. More beekeepers are able to overwinter a single, deep hive body by packing the hive out with honey or sugar syrup in the Fall. In addition to food reserves, make sure such colonies are protected from the harsh winds of Winter. Good information contained here no matter where in this world you are living. The National Bee Unit has just issued a starvation alert for parts of the UK. Here in Oxfordshire, we’ve had a great start to the year, the bees have boomed, hives were heavy with stores early in the year and swarms began about a month early. There are many flowers visible to the eye. So why do we need to worry? The short answer is lack of rainfall. For some weeks we’ve had relentless sun and heat, which is lovely up to a point, but plants need water to make nectar. Without rain, that blossom is empty. Conversely, in some years we have excessive rain extending throughout peak forage periods, which can hinder nectar production in key plants. Alright, so the title is a little cheesy. But the question does remain. Where would we be without bees? The gardens of my childhood were filled with bees. Hot summer afternoons in gardens buzzing with their industry. Lying on our backs in the clover, we marvelled at their meandering flight paths, little back legs bundled with yellow pollen. Our raids on the strawberry patch were more deliciously dangerous for the possibility of being stung. When the inevitable happened we endured the pain of having the sting carefully scraped from throbbing limb with a knife. A paste of bicarbonate of soda and water slathered on the wound followed, to soothe the sting. After which we suffered a parental lecture about the poor bee losing its life as a consequence of our carelessness, since they die shortly after delivering that venomous barb. And honey sandwiches! Who could forget the real honey of our childhoods? Ahh, those idyllic bee-ful days of my childhood! A dear friend started me on this path down memory lane recently when she suggested I look at the important role bees play in plant fertilisation. So, where are they now? What’s going on? Even Spring in my tiny garden doesn’t deliver on the childhood promise of swarms of bees, nor butterflies for that matter, but that’s for another post. Why does it matter? It matters because bees are prolific pollinators, playing a huge role in the fertilisation of flowers, vegetables and other food crops. I’m sure I’m not telling you something you don’t already know. Furthermore, the familiar European honey bee is not the only kid on the fertilisation block. More recently, attention is being drawn to our native Australian bees. I discovered to my amazement that in Australia we have over 1,600 species of native bee with endearing names like the Teddy Bear and Blue Banded bee, some of which I’ve seen around our local park Callistemons or Bottlebrush (below). They’re an important pollinator for our unique flora. Increasingly our native bees, like the stingless varieties (genera Tetragonula – previously called Trigona – and Austroplebeia), are also proving to be valuable pollinators of crops such as macadamias, mangos, watermelons and lychees . Their impressive effectiveness as pollinators has even seen them employed by pollination services for commercial growers of these crops. Some native bees have the added advantage of being ‘buzz pollinators’ whereby the vibration of their wings facilitates fertilisation, a feat almost impossible for honey bees. What’s the reason for the global bee decline? It appears there’s not one single factor. Dr Les Davies, Chief Regulatory Scientist from APVMA, suggests ‘mutiple interacting pressures which may include habitat loss and disappearance of floral resources, honeybee nutrition, climate change, bee pests and pathogens [like Colony Collapse Disorder (CCD) which has wiped out millions of bees in North America], miticides and other chemicals intentionally used in hives and bee husbandry practices, as well as agricultural pesticides,’ are possible factors in the decline of bees. He makes a strong case for being informed about what we spray on our gardens [if this is a path we choose], advocating ‘a need to ensure that a range of regulatory, industry stewardship and educational measures are in place,’ to reduce the risks from pesticides. We all have a stake in maintaining our bio system. When it comes to ‘bee-ing’ a successful gardener, a bit of research has turned up a number of ways I can contribute. It makes sense to plant any garden with bees in mind. A mix of flowers among the vegies will ensure bees are attracted to the garden and will do their bit to ensure bountiful fruit and vegetable crops. I will be even more mindful of using chemicals in the garden after reading up on bees. While I’ve always preferred natural pest control, heeding Dr Davies’ advice of being more informed about the sprays, fungicides and other chemical products for garden use seems crucial. Especially given I consume the crops I grow, along with a variety of other insects and useful micro organisms who dine on my garden. Is a Warm Winter Good for the Bees?